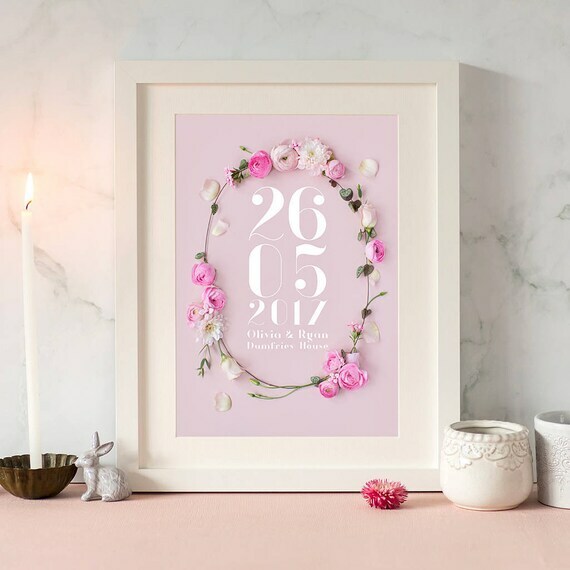 We have put together this collection of wedding gift ideas which we think are perfect for customising and giving as a gift to the newlyweds! 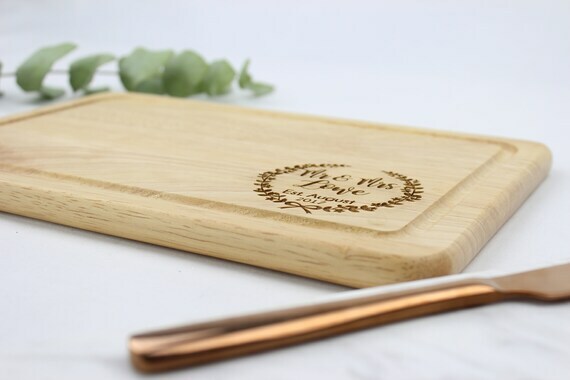 Many of these gifts below can be personalised and would make the perfect wedding gift! 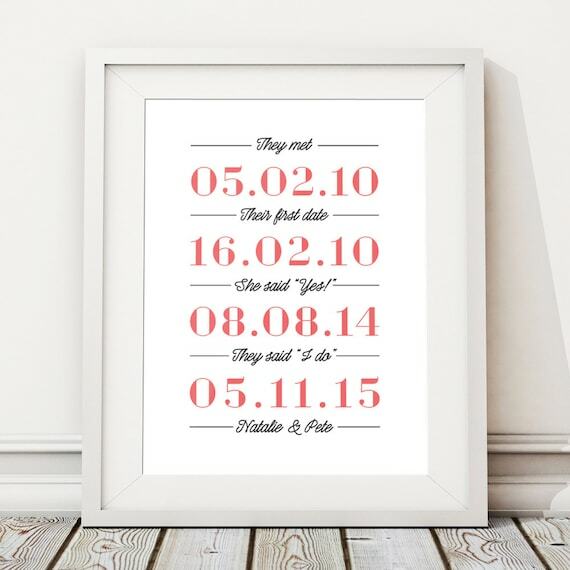 The newlywed gifts below includes personalised prints which you can customise, cushions for you to personalise with your own text to include the wedding date and/or the happy couples names and cute mugs for the bride and groom. 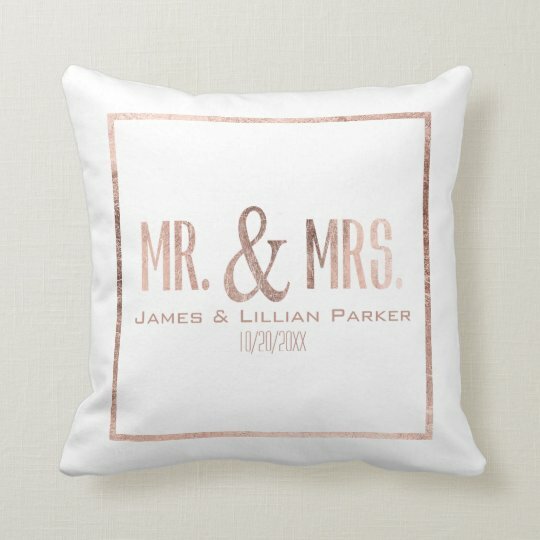 Take a look on Zazzle and Etsy for more wedding gift ideas and other wedding supplies. Aside from these wedding gifts, we have also featured a range of wedding supplies that you can simply customise for the big day! 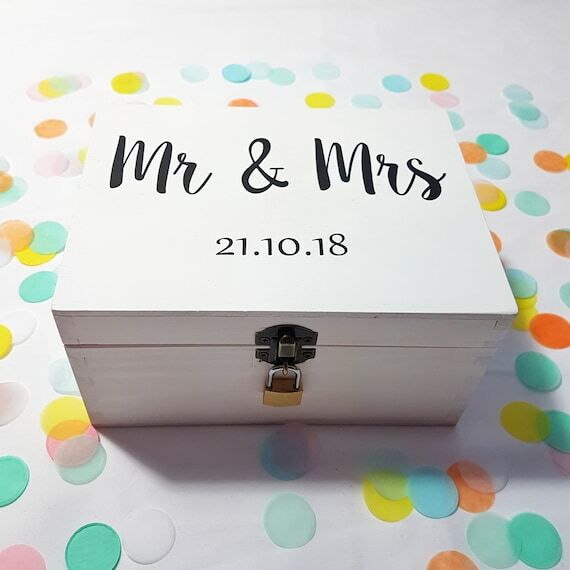 This personalised keepsake box is ideal for storing all of the memories of a beautiful wedding. 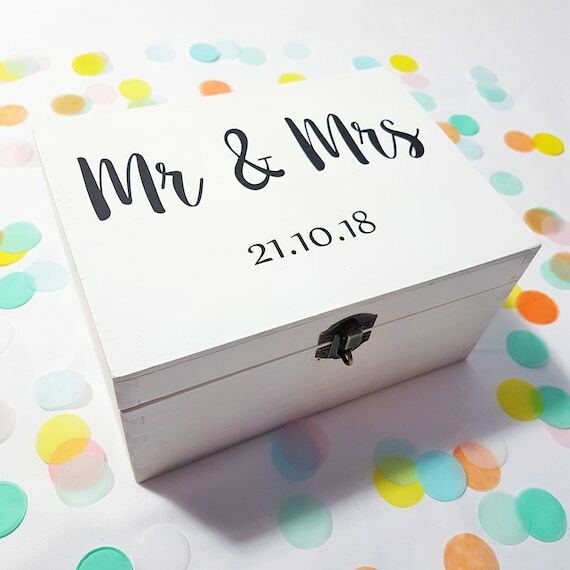 This wedding box would make a perfect gift for the happy couple and you can personalise to include the couples names and their wedding date. This personalised box is available from Etsy and there are different options to choose from. 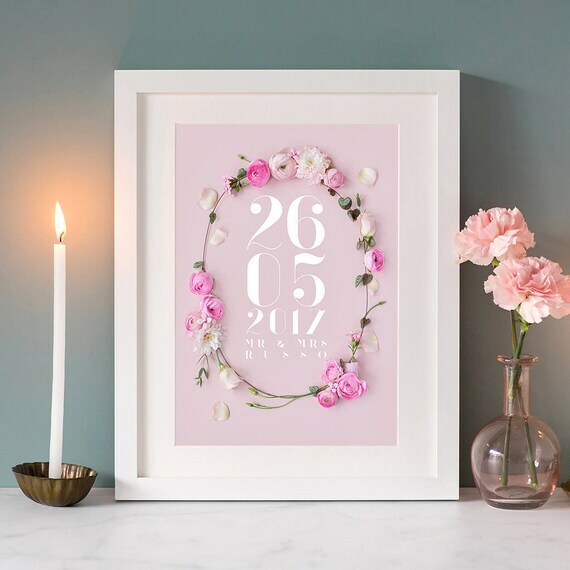 This personalised floral print is so beautiful and is perfect for adding the happy couples names and a cute message! This personalised print is available in different sizes over on Etsy. Personalised gift for a bride-to-be. 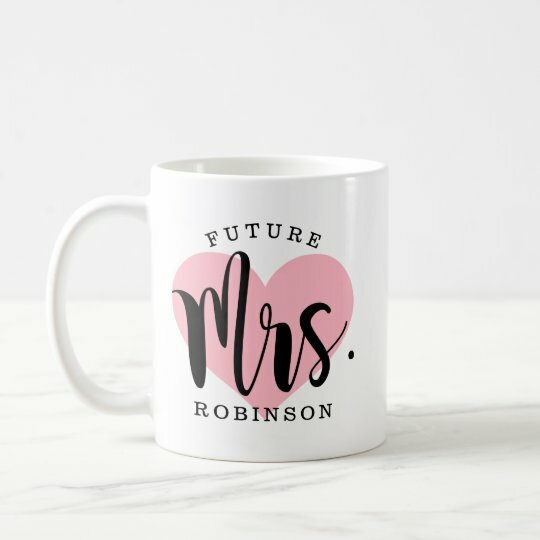 Add her soon to be surname to this cute heart mug over on Zazzle and give as a little wedding gift. 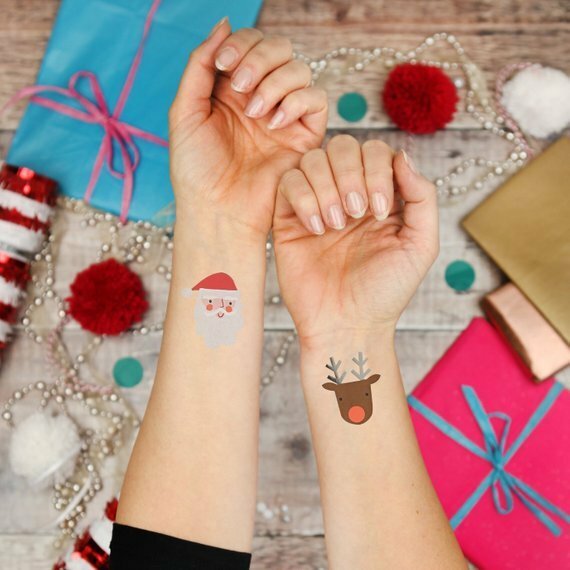 Aside from customising the text, you can also choose the type of font used, text colour and size if you wish! Add his and her names to this personalised wedding cushion along with the date of their special day! This is a great keepsake gift to give for celebrating a wedding. This is a great wedding keepsake gift idea to give to the newlyweds. This gift box includes a wooden photo frame, a wooden hanging heart, a wedding book and more! 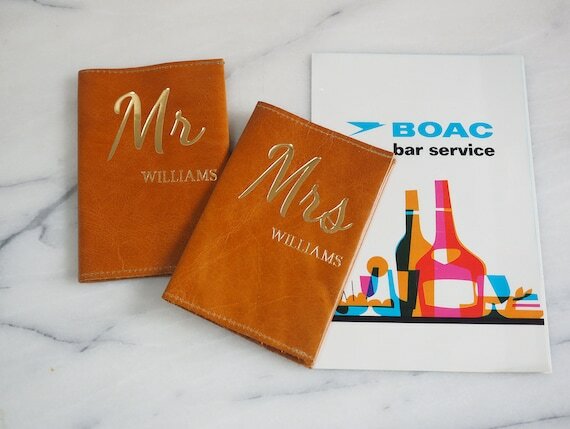 These personalised passport holders are great for giving as a wedding gift, just in time for their honeymoon! 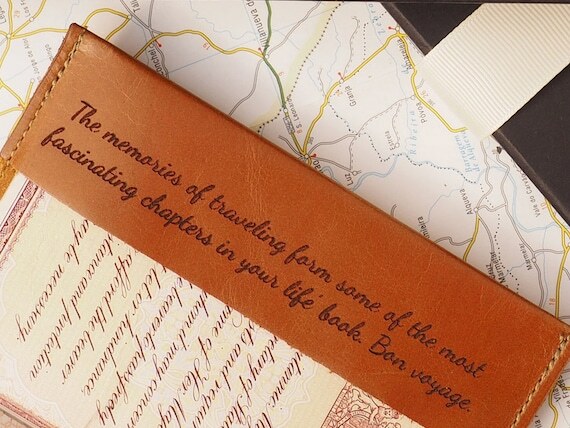 Add the newlyweds names to these passport holders and you can also add a message inside for an extra cost. This personalised heart-shaped hanging keepsake is ideal for personalising with the couples names and wedding date and giving as a gift to remember! 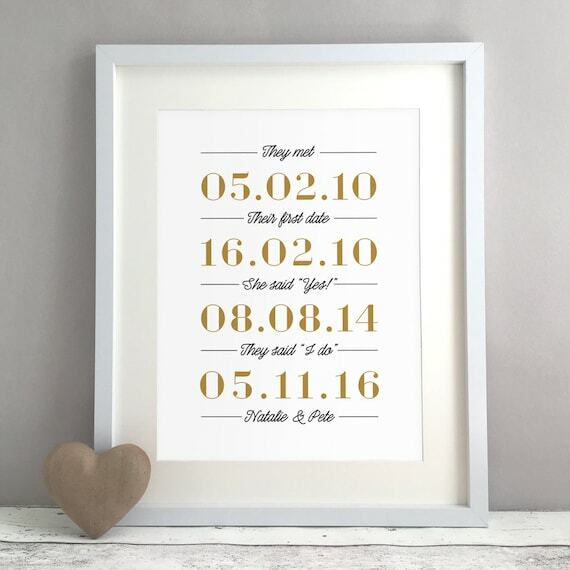 This is a really cute gift idea for the newlyweds and ideal for giving as a keepsake for their love story. 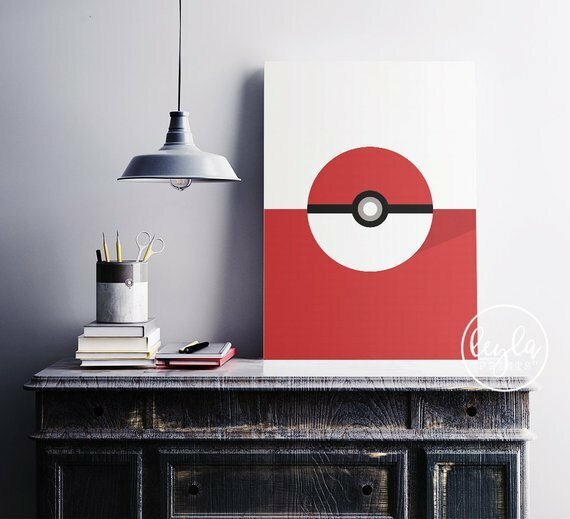 This print is available in different sizes and you can choose from a collection of colours for the main text. Include the dates of when they first met, first date, engagement and their wedding date. 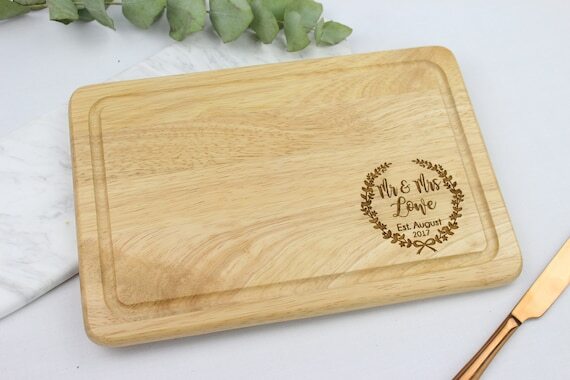 This wedding gift is great for personalising and giving to the happy couple for them to use in their home. Add their names and the date of their wedding date. 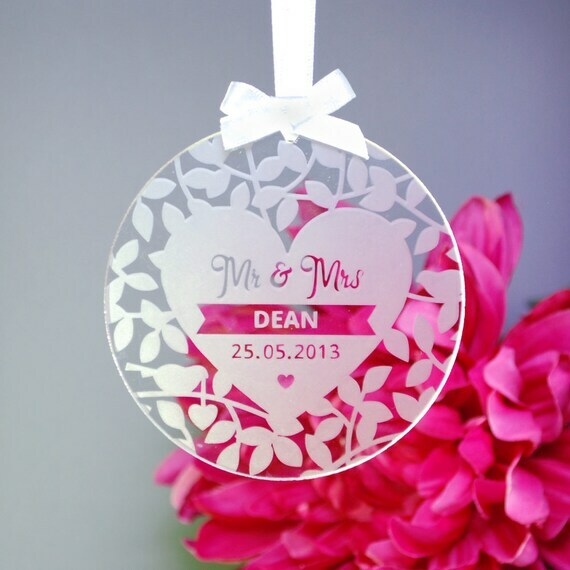 Personalise this hanging ornament with the couples title, surnames and their wedding date. 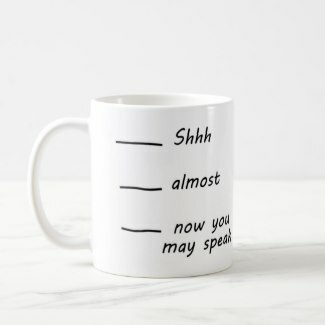 This would also make a great gift for celebrating a wedding anniversary.